Few of us would find a marriage proposal made amidst dirty dishes and messy clutter particularly romantic, but we are not the only creatures who realize that cleaning up your act may improve your chances of attracting a mate. 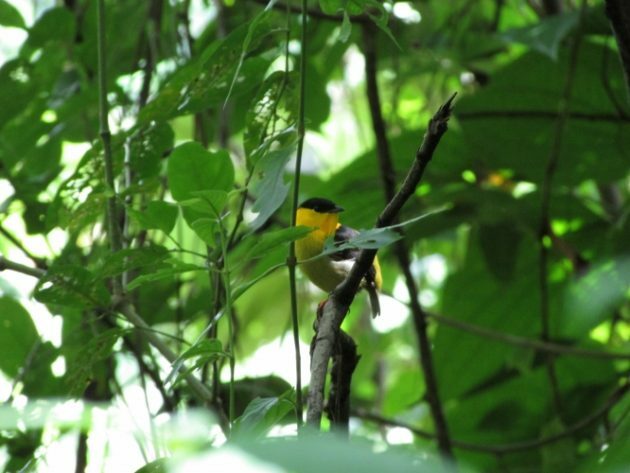 Juvenile male golden-collared manakins who received extra testosterone were stimulated to clean up their display area before performing for females, according to research at the Smithsonian Tropical Research Institute (STRI) in Panama. The research team’s results, published in the journal Animal Behavior, showed that tidiness during courtship is influenced, but not determined exclusively, by hormones. Adult male golden-collared manakins (Manacus vitellinus) show off their bright-yellow throat and beard to attract the attention of females. They strut their stuff in groups called leks in a defined display area on the forest floor, which they carefully clean by removing dead leaves and foliage that obstruct the female’s view. 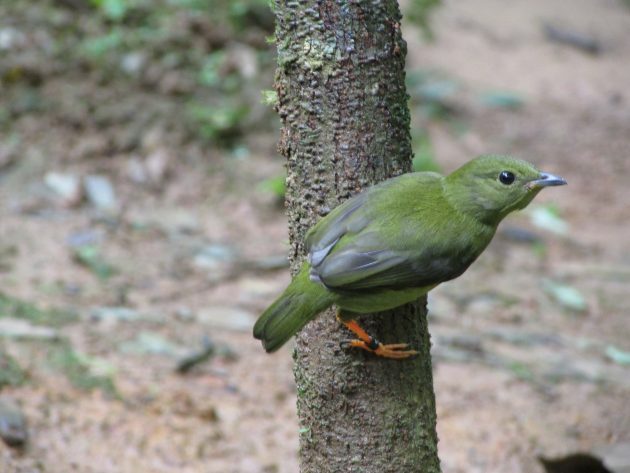 During the courtship display, males perform complex acrobatic moves, leaping from one sapling to another, while making conspicuous “snapping” sounds by forcefully beating their wings together above their heads.